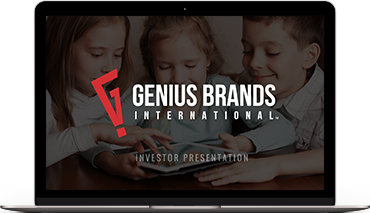 Genius Brands International, Inc. "Genius Brands" (NASDAQ: GNUS) is a publicly traded leading global media company developing, producing, marketing and licensing branded children's entertainment properties and consumer products for media distribution and retail channels. Led by award-winning creators and producers, the company distributes its content worldwide in all formats, as well as a broad range of consumer products based on its characters. 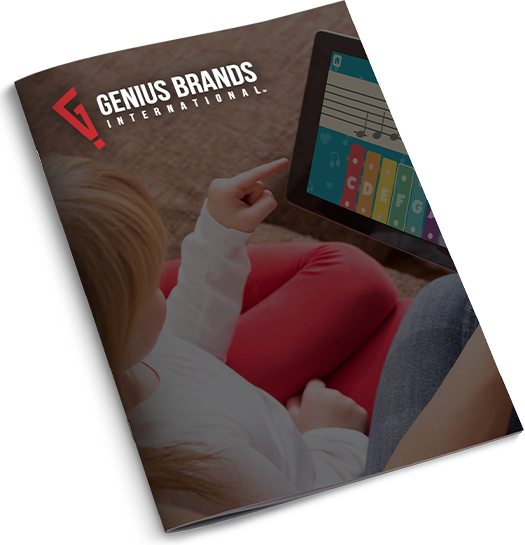 Genius Brands' portfolio of "content with a purpose" includes all-new preschool properties Rainbow Rangers, premiered on Nick Jr. in November 2018, and Llama Llama, based on the award-winning, bestselling book franchise, which launched January 26 on Netflix starring Jennifer Garner; award-winning toddler brand Baby Genius; adventure comedy children's series Thomas Edison's Secret Lab, and Warren Buffett's Secret Millionaires Club, created with and starring iconic investor Warren Buffett. The Genius Brands' catalog also includes animated series Stan Lee's Mighty 7, starring the legendary Stan Lee; Gisele & The Green Team, created in partnership with global super model Gisele Bündchen to enlighten kids about the environment; and Martha Stewart's Martha & Friends, which inspires creativity. The Company is also in development on an adult animated series, Stan Lee's Cosmic Crusaders, in partnership with Stan Lee's Pow! Entertainment and The Hollywood Reporter. Genius Brands' is significantly expanding its digital footprint with new channel launches across multiple platforms. Kid Genius Cartoon Channel is currently available in approximately 60 million households via Comcast's Infinity on Demand, as well as OTT platforms, including Amazon Fire, Roku and Apple TV. In addition, the Company launched in 2017 Kids Genius Plus! exclusively on Amazon with a line-up of enriching and entertaining content for toddlers to tweens available to 80+ million Amazon Prime subscribers. Further to the above distribution footprint, the company recently premiered the Baby Genius channel on Comcast's Xfinity on Demand platform, reaching over 20 million households in the U.S. with programming, including The Adventures of Paddington Bear, Rainbow Valley Fire Department, Baby Prodigy, Igloo-Gloo, Pirates Adventures in Art, So! Smart and Todd World.